Black Girl Dangerous’ Crush of the Month is a feature where we choose the most swoon-worthy and inspirational QTPoC whose work and flair has left us inspired and blushing. Then we interview them so our amazing readers can join us in crushing, fanning, and absolutely swooning over these amazing QTs. 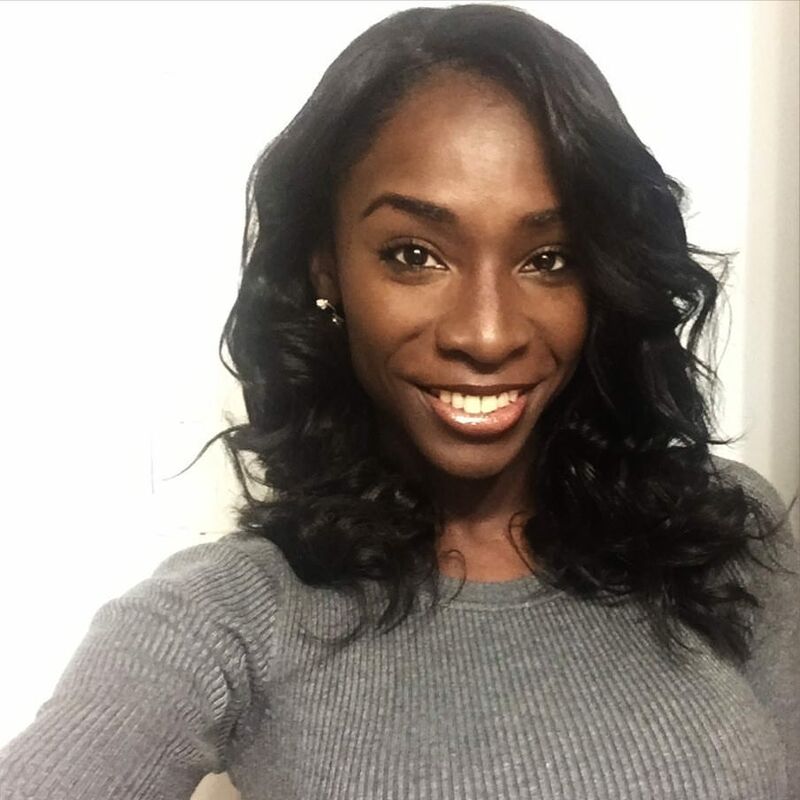 This month’s crush is the unstoppable Angelica Ross! She’s been on the Melissa Harris-Perry Show, founded a company which helps trans and gender nonconforming people find employment, and she’s spoken with some of the world’s most powerful people, like the President of the United States, about trans people and our needs. And most recently, she became an actress in the popular trans web series, Her Story. She’s truly inspirational and a force to be reckoned with. I’m swooning as we speak! Harmony: Have you ever had your heart broken? If so, what’s the most important lesson you learned from it? Angelica: I’ve had my heart broken a couple of times, crushed actually, from relationships with family, friends, and lovers. What I learned from it all is that sometimes our hearts need to break a little, to break open, and learn some tough lesson of what true love is, lessons in loving ourselves and loving others. [The bible says] love is patient, love is kind. It does not envy, it does not boast, it is not proud. It does not dishonor others, it is not self-seeking, it is not easily angered, it keeps no record of wrongs. I’m still learning to practice this in all my relationships with others, but primarily and most importantly in my relationship with myself. Harmony: You’ve accomplished so much, but I imagine being an actress must be so exciting! So what’s it like being on a popular trans web series? Angelica: It’s incredibly gratifying being a part of a project that so many people can relate with. The biggest gauge for me and one of the co-writers Jen Richards, is hearing the response from trans women, and it’s being overwhelmingly positive. And having Kerry Washington give me and the show a shout out on twitter was the most amazing recognition I could ever receive from a brilliant black female actor! Harmony: Do you have any groupies? Do you want some? Angelica: LOL. I have a ton of groupies. And I love them all. Harmony: Trans love is revolutionary, wouldn’t you agree? So is there anyone you’re crushing on? Harmony: What is your favorite physical feature? What’s your favorite personality trait? Angelica: My favorite physical feature are a man’s hands. You can tell a lot by a man’s hands. I like a man who can’t seem to keep his hands off me, so in that case I like ’em strong, and sometimes a little rough. Harmony: I saw the videos of the protest at the “Trans-Attracted Men” panel. And I’ve heard all of the criticisms of both that panel and that label. So what do you think, is a “trans-attraction” really…a thing? Angelica: I have kinda been quiet on all of this publicly because I think that term can be problematic. What does that even mean? There are post-op and pre-op trans women, and if we are moving towards a place where we as women are not reduced down to our parts, then it begs the question of are we really gravitating towards a collective understanding that trans women are women none the less. Men who are attracted to cis women, will be attracted to trans women, period. It is through the discovery phase of getting to know someone that with maturity they will need to ask themselves what is it that they are truly looking for in a woman, and is it possible a trans woman post or pre-op could be that woman I’m looking for. Harmony: What drives you to do this work? What keeps you going when working in this community gets rough, if it gets rough? Angelica: I’m not going to lie, it’s been really rough, but in order to create a catalyst of liberation within the trans community I believe as many of us as possible need to be in the process of liberating ourselves, so we can enter into a more powerful and healthy collective. I experience a sort of symbiotic healing that happens when I am working on the community, I am working on myself, and when I am working on myself, I am working on being in better community. Harmony: If you could be an actress in any movie sequel, what would you pick? Angelica: I would LOVE to be in a new Matrix or James Bond movie, and do some cool martial arts and stunts!